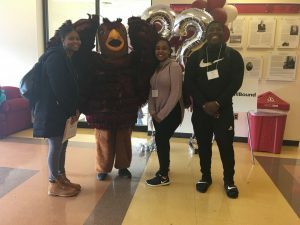 Hi, my name is Mikaela Thomas and I had the pleasure of going to Admitted Students Day, the Inclusion and Diversity Preview, and Walk with a Hawk all within a weekend. This experience, overall, was a great way for me to meet more people and learn about the campus in a new way. It was fun and informative and something I did not get at the other schools I had been accepted to. Being from Philadelphia and having family who went through Saint Joe’s, I was familiar with the school, but this helped me learn more on a more intimate level. The Inclusion and Diversity Preview was an amazing experience overall. I was able to meet so many new people and connect with those who already went to Saint Joseph’s and who looked like me. Being a student of color, one of the things that held me back from committing to Saint Joseph’s initially was the lack of diversity that is displayed. However, going to IDP allowed me to realize I would not be alone in my experiences as a student of color. We began the evening by signing in and mingling with prospective and current students. This was when I met my future roommate, Mikayla, and her family for the first time. I was able to spend some time with her and get to know her months before we even moved in. This allowed me to be more comfortable with her and the transition I was about to make into college. After we said goodbye to our parents, we did a series of games and activities to get to know each other better. We realized both how much we had in common and how different we were. 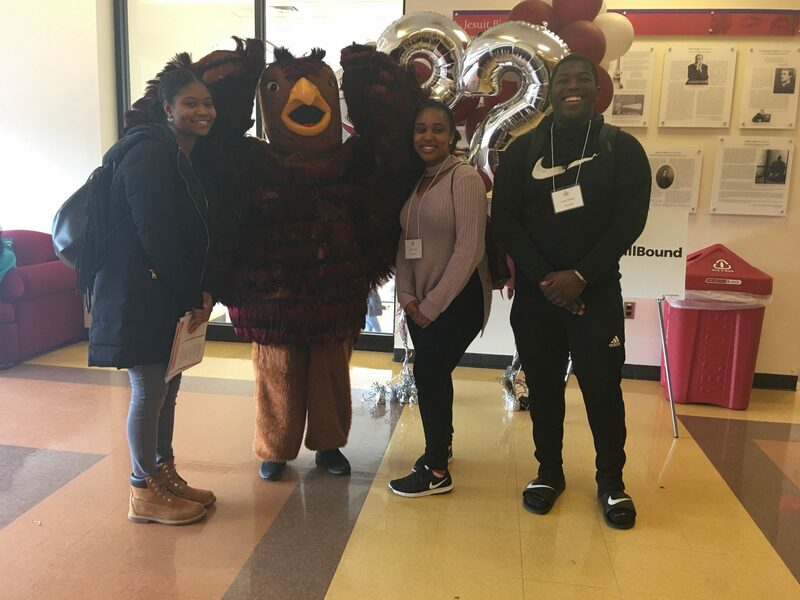 This exercise helped me to understand how much fun I was going to have with these people, and encouraged me to look forward to what was going to happen in my college career should I choose Saint Joe’s. Afterward, we did more activities and talked some more. I started to break out of my shell and engage with others. When being paired up with my host, I was nervous, but I was lucky to get a really energetic and welcoming person who I coincidentally found out I shared a birthday with. I was able to stay in a sophomore apartment and get the full experience of living on campus. This experience was great because I became more comfortable with the school and the people I could possibly be going to school with. Walk with a Hawk was an educational and exciting experience. I was able to sit in classes that I was interested in and not only test my knowledge of the subject but learn more. I was paired with people who were energetic and enthusiastic about going to class and showing prospective students around. On the walk to the classes, we were able to talk to the current students and ask them questions that normally would not get answered on a tour. They were open and transparent, which also helped me feel more comfortable being at Saint Joseph’s. Overall, this weekend experience was a great insight into what I would be getting when I actually attended this university.